Kyle Bennett admits he thought his days were numbered at Doncaster Rovers. The 24-year-old has gone from zero to hero this season, emerging as one of Doncaster’s key creative sparks. 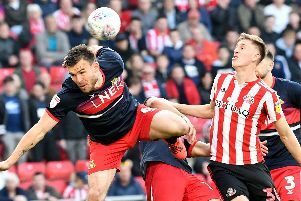 But Bennett - who will almost certainly retain his place in the side to face Gillingham tomorrow - admits he thought he was on the way out of the Keepmoat Stadium after being farmed out on loan to Bradford City last season. “I didn’t play much [for Doncaster] last season and I obviously thought that was it for me here,” Bennett said. “Certain players were brought into the club, like Mark Duffy and Harry Forrester, and I knew they were going to play before me. “We got relegated and circumstances changed. Bennett says the key to his Rovers resurgence has been his new work ethic. “I’ve been criticised in the past for not working hard enough, and I’ve tried to build that into my game. “Everyone can see I’m running round a little bit more.